Brooke has been working in Real Estate since 2012 and has advanced her position to encapsulate administration, which includes tasks above and beyond the ordinary Property Management position. 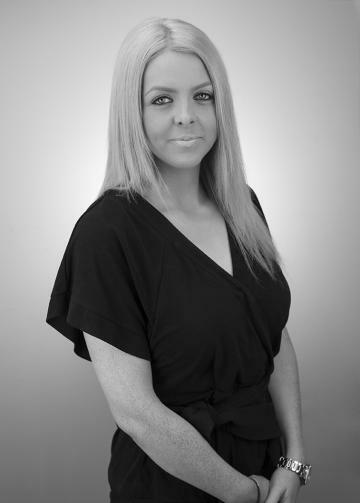 Brooke manages the everyday running of the Rental Department to ensure that the staff provide the best possible service to both landlords and tenants – this is no small feat with a property portfolio of over 400 homes. Cooper Real Estate’s point of difference is that there is not one agent for your property, all rental agents in the office are kept up to date with the goings on of each property, and therefore any given team member is able to assist a landlord or tenant with their enquiry. Located in a quiet, sought after street in the beautiful Botanica Springs Estate, this modern family home has everything you could possibly need. Extras include large family bathroom with separate toilet, comfort all year round with ducted heating and evaporative cooling and security system. Don't miss out! Book your private inspection now by calling 9747 9111. Four bedroom home, master with WIR & ensuite, remaining with BIRs, two living areas with a formal lounge to the front and open plan living to the back. Other features include double garage and ducted heating. This beautifully designed property features 3 beds, master with WIR & ensuite, others with BIRs, open plan living with a spacious kitchen, meals and living area. Other features include double garage, landscaped gardens, ducted heating and split system cooling. Family home in a sought after location! Comprising of four bedrooms, ensuite to master, two living areas, separate study, ducted heating and cooling, double garage and large pergola to the rear. This lovely family home features three bedrooms with built in robes, master with ensuite and walk in robe, a lovely open plan living and dining area that opens out into the tidy backyard, ducted heating, split system cooling, landscaping to front and rear yards and a single car lock up garage to finish off this family home. Near New In The Upcoming Atherstone Estate! Comprising of 4 beds with BIR, master with WIR & ensuite, 2 living areas, a double garage and an outdoor alfresco area. Evaporative cooling and ducted heating to ensure your comfort throughout any season. This property consists of 3 beds, master with WIR & ensuite, remaining with BIRs, large living space which leads through to more living and then a meals area off the kitchen. Ducted heating and cooling. Boasting 2 living areas, formal lounge to the front and open plan living to the rear, 4 bedrooms, master with WIR & ensuite, remaining with BIR's. Ducted heating & cooling, double garage, landscaped gardens. Fantastic lifestyle allotment of 544m2 with 16m frontage, best suited for small families or investors looking for affordable property. Positioned perfectly for the city cummuter or smart investor. This brand new home features a beautiful open plan living area with stunning floating floors, master bed with ensuite & WIR, remaining with BIRs. Other features include double garage and ducted heating. Featuring a beautiful open plan living area with stunning floating floors and sliding doors leading to the backyard, master with ensuite & WIR, other 2 with BIR's. Other features include dbl garage, heating & cooling. Luxury Villa Unit In Prime Location! This modern three bedroom property is sure to impress, situated in the perfect location only minutes’ walk from the heart of vibrant Altona. Comprising of three oversized bedrooms with ample storage, two stunning bathrooms, double remote access garage door, Smeg appliances, gas ducted heating and refrigerated cooling for all year round comfort. Every aspect of this home has been meticulously thought out from the 9ft ceilings, Caesar Stone Bench tops, under mount double sinks, floating timber floors, manicured low maintenance yards and entertainers oasis with alfresco open space dining area. Whether champagne or fine wine is your passion this luxury property will exceed your expectations. Contact Cooper Real Estate today as this property won’t last long 9397 8900. Immaculate 2 Bedroom Plus Study! This amazingly located boutique home boasts 2 bedrooms plus study, open plan living with ample natural light, great back yard and a single undercover parking. You couldn't ask for better than this impressively renovated family home with everything you could possibly need with four bedrooms all with built in robes, master with ensuite and walk in robe PLUS a separate study as well! Your living space is sorted with a huge living area complete with fireplace, a long and spacious dining area and modern kitchen. LOCATED IN THE HEART OF TOWN! Very rarely do one bedroom units in the heart of town come up for lease. The spacious lounge adjoins the new kitchen and the bedroom has BIR with mirrored doors. The combined laundry and bathroom is neat as a pin and there is a separate toilet. The unit is serviced by a gas wall furnace and a R/C Split system air conditioner. Neat front yard and back yard and a single carport complete the package. Walk to everything in town from a quiet central location.This wont last long! This 3 bedroom, 2 bathroom, 2 living area home is set on approx 31.64 Acres in the prime location of Leakes Road. Features paddocks, practice track and undercover storage/sheds.